The SoftFit Breastshield comfortably massages and stimulates the breast and areola to help moms achieve effective milk expression. The soft stimulation encourages milk flow by providing baby-like suction while pumping. 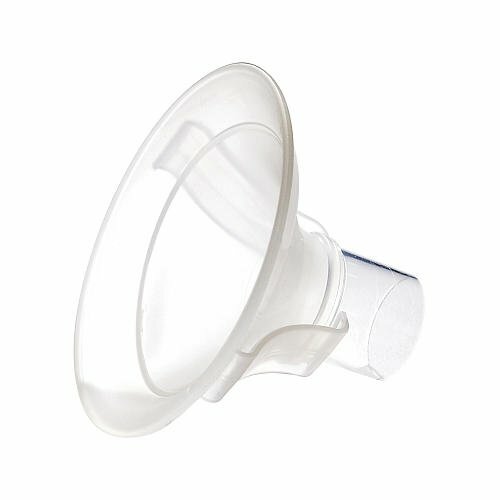 SoftFit Breastshields are not for use with Little HeartsTM Manual Breastpump, Disposable Kits or the Pumping FreeTM Attachment Kit, #87016. Includes 2 breastshields - Non retail packing From bulk 87078/ 800.0669 or 2 breastshields in pack # 67246 / 27246 (see sellers item's condition note for details). The SoftFit Breastshield comfortably massages and stimulates the breast and areola to help moms achieve effective milk expression. The soft stimulation encourages milk flow by providing baby-like suction while pumping.